Notice is hereby given that the Winston County Board of Supervisors of Winston County, Mississippi, will receive sealed bids until 9:00 am on August 19, 2013, for the purchase of a One Rear Loading Refuse Collection Truck, specifications for which may be obtained from Julie Cunningham, Chancery Clerk of Winston County. BE IT REMEMBERED that the Board of Supervisors of Winston County, Mississippi, held a meeting at the Courthouse in the City of Louisville, Mississippi, at 9:00 am, this the 24th day of July, 2013, the same being duly noticed and posted to all necessary parties. The Winston County Board of Supervisors remains in office for the month of July for the examination of tax rolls. BE IT REMEMBERED that the Board of Supervisors of Winston County, Mississippi, held a meeting at the Courthouse in the City of Louisville, Mississippi, at 9:00 am, this the 15th day of July, 2013, the same being duly noticed and posted to all necessary parties. The Winston County Board of Supervisors will remain in session for the month of July 2013 for the public inspection of the Tax Rolls of Winston County for 2013. Any interested person may come to the Board of Supervisors room in the Courthouse to inspect the rolls. Any objection to the assessed value of your property must be made in writing to the Board of Supervisors before August 1, 2013. Please contactChancery Clerk Julie Cunningham at 662-773-3631 or Tax Assessor Larry Woodward at 662-773-3694 for more information. 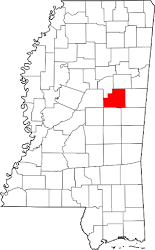 The Winston County Board of Supervisors has recessed to Wednesday, July 24, 2013 at 9:00 am for the purpose of discussing Winston County E911. Said meeting will be in the Board room in the Courthouse. This meeting is duly posted and being noticed to the public this 17th day of July, 2013. Click here for link to a list of properties in pdf form. These minutes are not final until approved by the Board. BE IT REMEMBERED that the Board of Supervisors of Winston County, Mississippi, held a meeting at the Courthouse in the City of Louisville, Mississippi, at 9:00 am, this the 1st day of July 2013, the same being duly noticed and posted to all necessary parties.